SpiritualCoach.com wants to grow with you through different spiritual arenas, and gives you a broad perspective on spirituality. Our goal is to inspire you to follow your passion and to focus on whatever interests you. Let your own inner guidance show you the way through our site. SpiritualCoach.com serves as a buffet of amazing wisdom from which you can choose and have fun with. Our hope is that you will blossom to the beautiful person that you really are. Below is an overview on the topics that we cover. Enjoy the buffet! We have gathered greatly appreciated learnings from Spiritual Coaches and Life Coaches under the sections “Love and Relationships“, “Money and Success“, and “Health and Wellness“. Just choose the topic that you are interested in and find inspiring material. Learn to apply the Law of Attraction in each of these life areas, to manifest your dreams. Most videos include summaries written by SpiritualCoach.com, to simplify and magnify your learning process. You will also find updates on books and DVDs, written and produced by our times most beloved coaches. Find a variety of tools to empower yourself on “Mind and Spirit“. Learn to master the Law of Attraction and discover different approaches to become more mindful on a regular basis. Work with affirmations and different meditation and healing techniques, to heal your spirit and increase your positive energy. Also, if you wish to attend interesting spiritual web-classes, seminars, and workshops, you may find useful information on this section. Well known authors and motivational speakers share their wisdom with you on “Inspirational Videos“. Find a collection of shorter and longer “web-classes” that are really fun and inspiring. These amazing videos will help you further on your spiritual path. Reach your full potential and find out what a Spiritual Coach and a Life Coach can do for you, on “Spiritual Coaching” and “Life Coaching“. Learn the difference between a Spiritual Coach and a Life Coach; how they work and their credentials. Furthermore, if you are interested in becoming a Spritual Coach or a Life Coach, you will find very useful information on these sections. 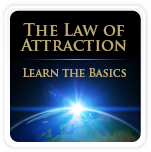 “The Law of Attraction – Learn The Basics” is a great place to start your learning about this universal law. The Law of Attraction has intrigued many people around the world, and Abraham-Hicks has an unique and inspiring way to communicate the Law of Attraction. 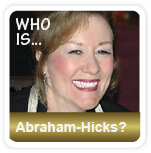 Find out more about Abraham-Hicks under “Who is Abraham-Hicks?“. These sections will give you an overview on the Abraham-Hicks teachings on the Law of Attraction. We hope that you will find it useful and fun on your spiritual exploration. 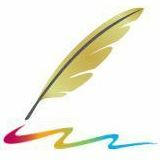 “Visit Our Store” section provides you with a list on best selling authors to get you started on your spiritual journey. You will also find spiritual books, DVDs, music, Apps, and other spiritual products that you can purchase for yourself and your loved ones. We wish that these products will inspire you and your friends in different ways to become all that you already are – truly fantastic! If you want to change something, you have to do something different; you need to change your thinking. To change your life, you need to practice a new habit, every day, over and over again. If you want to grow as an individual, it’s important to get inspired everyday. SpiritualCoach.com publishes new articles and videos frequently, and we hope that this platform will appeal to you and inspire you on a regular basis.